Andrews Race Cars is the only chassis shop in Australia with a dedicated stock of 4130 chrome moly tube and sheet, and CDW tube. 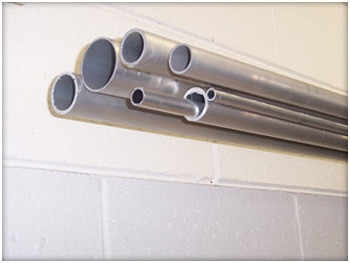 We have over 160 sizes of chrome moly and CDW tube in stock. All 4130 tube and CDW tube is available with test certificates on request. Andrews Race Cars keep an extensive range of 4130 chrome moly sheet. Sizes include 0.032", 0.040", 0.050",0.063", 0.080", 0.125" & 0.190". Sheet sizes are 72" x 36" in all cases. Cut size minimums of 12" x 12" are available in all sizes. Increaments of 12" in any direction are then available to the extents of the sheet. If grain direction is a priority, please advise prior to cutting. 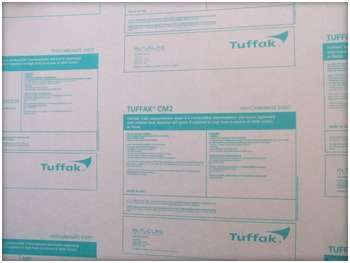 All sheeting is available with test certificates on request. Andrews Race Cars has large quantities of 0.95mm zinc sealed sheeting in stock in 2440 x 1220 sheet size. This is the same material from which we manufacture our steel tubs. 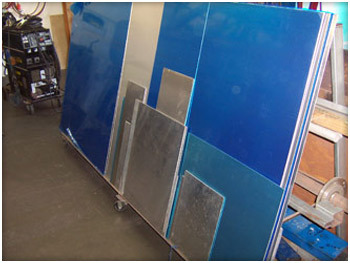 We also construct all our street car interiors from this material. This sheet is MIG weldable in the as delivered state, and TIG weldable after linishing off the light zinc coating in the weld areas. The sheets are corrosion resistant for extended periods. We also keep 1.6mm and 3.0 mm steel sheeting in cold rolled finish. 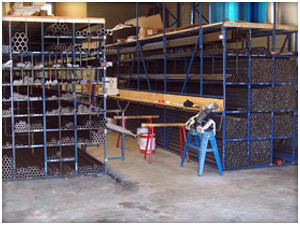 Andrews Race Cars keeps a small supply of aluminium sheet and plate. Sheet sizes in stock are all 2400mm x 1200mm 5005 grade. Thicknesses include 1.0mm, 1.2mm, 1.6mm, 2.0mm, 2.5mm, and 3.0mm. We also have small quantities of 5005 sheet and 5083 plate in both 5mm and 6mm thicknesses. Cut sizes are available on request. Andrews Race Cars keeps a small quantity of aluminium tube and bar in stock. Tube is kept in various diameters and gauges from 25mm x 1.6mm up to 40mm x 3.0mm. Bar stock is all 6061 ranging from 19mm up to 60mm.